Palma Refit is based in the STP yard’s Global Building, and we received good Captains feedback for their works last year. 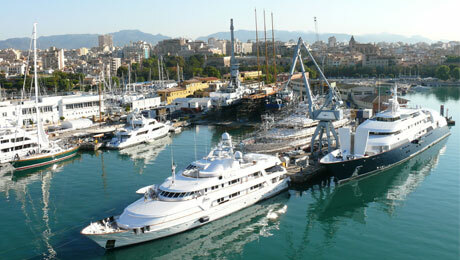 Yates Adriano is a commercial boatyard with 11,000sq.m. of hard standing area & a 250 ton travel lift. Baltic Yachts Service and Refit Mallorca S.L. Baltic Yachts Service and Refit Mallorca is the Mediterranean hub for Baltic Yachts’ service work, as well as a complete refit center for any yacht in need of composite works, engineering, hydraulic and teak decking services, carpentry, spares and full TPA management. Staffed with boatbuilders from Baltic Yachts, with extra resources available from the yard for larger refits.